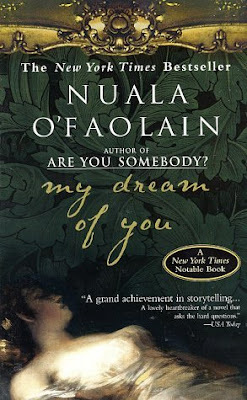 This compelling novel by Nuala O'Faolain intertwines the stories of two women, an Irish travel writer living in present-day London, and a British landowner's wife during the 19th century potato famine, who was convicted of committing adultery with an Irish groom. 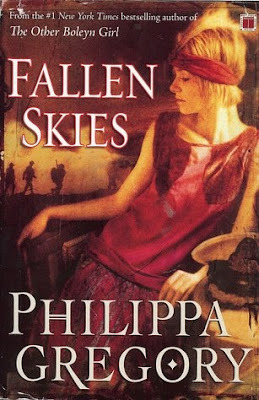 "Now back in print from New York Times bestselling author Philippa Gregory, Fallen Skies takes readers to post-World War I England in a suspenseful story about the marriage of a wealthy war hero and an aspiring singer he barely knows. Lily marries Stephen, only to discover that his family's facade of respectability conceals a terrifying combination of repression, jealousy and violence. When Stephen's terrors merge dangerously close with reality, the truth of what took place in the mud and darkness brings him and all who love him to a terrible reckoning." Above is a picture of my Georgette Heyer's that I purchased via Ebay. The pink one is "Venetia" and that one is from 1958. Pretty old! The lot was a total of 28 books. "Brilliantly written in language eerily reminiscent of sixteenth-century England and filled with the dazzling color and drama of Tudor England, Firedrake's Eye concerns a meticulously constructed plot to kill Queen Elizabeth I. Tom O'Bedlam, the mad son of prominent Catholic family, stumbles upon evidence that his hated brother has returned to England to spearhead a scheme to assassinate the Queen. Patricia Finney transports the reader back in time to the dirty, dangerous underbelly of 1583 London. Combining accurate and detailed historical research with story-telling of an unusually high caliber, Firedrake's Eye brilliantly evokes that danger and treachery of Tudor politics." "Patricia Finney's outstanding literary thriller plunges into the vivid and deadly world of the 16th century: from the torture chambers of the Tower to the elegant artifice of court life; from the bawdy-houses of Southwark to the Queen's own bed. Why are the Jesuits, the Queen's Puritan councillors and even the Queen herself searching for the mysterious Book of the Unicorn? What ancient scandal threatens Elizabeth Tudor as she fights to avoid executing her cousin, Mary Queen of Scots? And what of the man waking up in the dungeon with no memory of who he is? David Becket and Simon Ames, the two mismatched heroes of FIREDRAKE'S EYE find themselves unwillingly in the thick of the struggle to unravel the plot." "Anna, a self-sufficient and reliable single mother, packs her bags one day for a short vacation to Italy. She leaves her beloved daughter at home in London with good friends. When Anna doesn't return, everyone begins to make excuses, until the likelihood that she might not come back at all becomes chillingly clear. In this dazzling work of suspense, Sarah Dunant interweaves parallel narratives that are stretched taut with tension even as they raise difficult questions about love, trust, and accountability. We are challenged, unnerved, and ultimately exhilarated as Dunant redefines the boundaries of the psychological thriller." "In 1894 Carrie McGavock is an old woman who has only her former slave to keep her company…and the almost 1,500 soldiers buried in her backyard. Years before, rather than let someone plow over the field where these young men had been buried, Carrie dug them up and reburied them in her own personal cemetery. Now, as she walks the rows of the dead, an old soldier appears. It is the man she met on the day of the battle that changed everything. The man who came to her house as a wounded soldier and left with her heart. He asks if the cemetery has room for one more. In an extraordinary debut novel, based on a remarkable true story, Robert Hicks draws an unforgettable, panoramic portrait of a woman who, through love and loss, found a cause. Known throughout the country as "the Widow of the South," Carrie McGavock gave her heart first to a stranger, then to a tract of hallowed ground - and became a symbol of a nation's soul." "On May Day, 1464, six-year-old Katherine Woodville, daughter of a duchess who has married a knight of modest means, awakes to find her gorgeous older sister, Elizabeth, in the midst of a secret marriage to King Edward IV. It changes everything—for Kate and for England. Lancastrians against Yorkists: greed, power, murder, and war. As the story unfolds through the unique perspective of Kate Woodville, it soon becomes apparent that not everyone is wholly evil—or wholly good." Young Bess (Book one in the Good Queen Bess trilogy) by Margaret Irwin, this is a reissue by Sourcebooks. Originally published 1944. "This first of Irwin's trilogy about Elizabeth traces her early life from the execution of her mother, Anne Boleyn, to Bess's banishment from her Henry VIII's court, to the intrigues of Tom Seymour and the death of her brother, Edward VI." "January 1928, the Isle of Dogs. Following the mysterious disappearance of her sailor husband (missing, presumed drowned), young widow Eve Kumar struggles to provide for herself and her twin sons. But her flower-selling business is destroyed overnight when the Thames floods its banks, wrecking Eve's ramshackle riverside cottage and forcing her to take refuge with the lecherous Harold Slygo and his drunken wife. As Eve's home life turns from bad to worse, she is befriended by a young constable, Charlie Merritt, who shares Eve's growing suspicions that her husband's death was no accident. But Eve and Charlie's investigations are attracting unwelcome attention - and when Eve herself disappears, it becomes clear there are those who would go to any lengths to ensure the truth remains buried. Will Charlie be able to save the woman he has grown to love?"